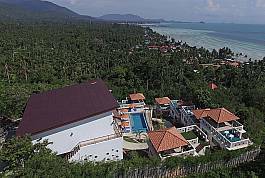 Gorgeous complex with tropical garden, communal pool and jacuzzi offering an impressive 1 bedroom apartment with kingsize bed in Chaweng Noi. 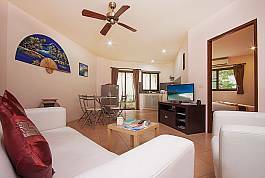 A sizeable open plan living and kitchen area, a balcony with pool view and a close by beach that you can reach within walking distance from the property. Beautiful sea and mountainous views can be appreciated from Villa Mak Di’s rooftop terrace. 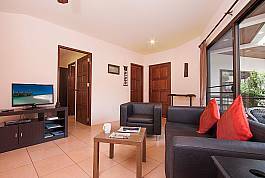 The holiday home is a great choice for those looking for a sizable holiday rental with fantastic facilities. An onsite communal pool and outdoor lounge area gives you an ideal place to soak up the sun. Amazing 1 bed villa to rent on a fantastic complex with communal pool, sun terrace, bar and restaurant. 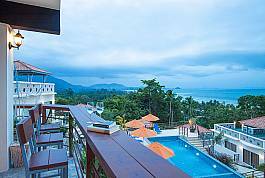 The holiday home’s rooftop area is perfect for looking out at the unbelievable sea, mountain and jungle scenery and watching a romantic sunset. 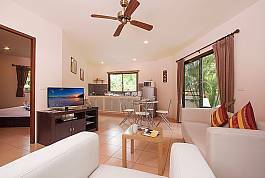 Delightful 1 bed villa on a lovely private resort with communal pool and outdoor terrace. With stunning sea views to one side and a jungle and mountainous landscape to the other, the resort surroundings echo throughout leaving you in a state of euphoria. 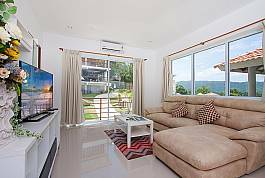 If you are a single person or a couple looking for a convenient holiday villa rental in Koh Samui, this 1-bedroom villa is only 1.8km from Chaweng Beach and offers a luxury and memorable stay. 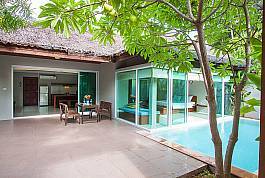 Coming with a private swimming pool and garden, this is the ultimate Samui holiday choice. 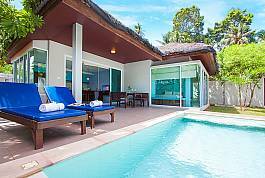 Perfect for a single person or couple, this 1-bedroom villa has a private swimming pool and a modern design, just a 1.8km walk from Chawneg Beach and lots of nightlife and restaurants. The ultra-modern design ensures a comfortable stay in this prime holiday location. 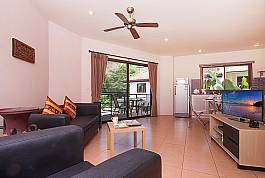 This is a 1-bedroom villa that is large in size and can sleep 2 people, located walking distance from Bophut Beach in northern Samui, in a prime holiday position. 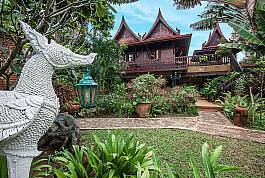 With an authentic traditional Thai design with lots of teak furnishings, this villa personifies that special Thailand atmosphere.